The best ergonomic mouse for shoulder pain should be designed to use the whole upper limb. The shoulder region is the most common area of discomfort affecting computer users as reported by (Chasen C, 2009). Many contemporary whole handed mouse designs encourage or force the use of the shoulder muscles to move the mouse. Observation of computer users using whole handed forms of mouse design offers an explanation as to how users of whole handed forms of computer mice may be prone to causing shoulder pain. Users of excel spread sheets or computer aided design wherein using whole handed mice designs find difficulty in positioning the cursor in the required target area. The final cursor positioning control causes slowing of the movement task and increased muscular effort in the shoulder and neck. As discussed in The Homunculus and Ergonomic Mouse Design, the shoulder does not nearly have as much representation on the sensory and motor cortex (part of your brain designed for movement) as the hand and fingers. Moving your mouse with your shoulder will increase the postural loading and may exacerbate your current discomfort within your shoulder. The shoulder is designed for large gross movements e.g. moving your hand to pick up a glass. Its not designed for small movements of the cursor which should be left to hand and fingers. The best ergonomic mouse for shoulder pain should be designed to use the upper limb how it was designed. The DXT Ergonomic vertical mouse, pen-like design results in a balanced distribution of work throughout the fingers, hand, wrist, forearm, and shoulder. This not only promotes long-term health and comfort, but also enhances precision by harnessing the largest section of the motor cortex – the section controlling the thumb and fingers. Sitting too low can cause you to adopt a fixed contracted posture of the shoulder. Shoulder muscle contraction is increased because sitting too low requires you to shrug/lift your shoulders to interact with your keyboard and computer mouse. 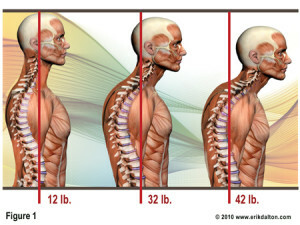 If you take the time to ensure you sit at the correct height in relation to your desk you can reduce the postural loading within the shoulder associated with computer work. Check out this video below showing easy method to help ensure you sit at the correct height. Abduction or positioning your mousing arm away from your body when using the mouse is a common mistake people make when using their computer mouse. This posture can lead to discomfort within the shoulder and neck if adopted for long periods or if carried out repetitively. A simple method to reduce shoulder pain is to ensure you use the mouse as close to your body as possible. You should be able to reach your computer mouse when your upper arm is close to your body and your elbow is at 90 degrees. Standard keyboards with integrated number pads can increase the abduction of the arm so a mini keyboard without a integrated number pad can help. Check out the video below to see where to position your mouse to help reduce shoulder pain. Adopting a chin jutted forward posture can increase the pressure within the tissues of the neck, shoulder and upper limb. Ideally you should tuck your chin in and attempt to feel like your balancing a apple on your head. This technique should ensure your adopt more of a neutral neck posture which can help reduce discomfort within the neck, shoulder and upper limb. You should ensure your monitor is about arms distance away when your in a comfortable typing posture which will help you adopt a neutral neck posture. If you find yourself placing your hard copy/documents on your desk to input data from you should be careful. Twisting and rotating your neck can increase muscular loading within your neck and shoulders. Ensure you use an inline document holder to position you documents allowing you to adopt more of a neutral neck posture. Check out this video below showing benefits of inline document holder. The best ergonomic mouse for shoulder pain should not be designed around the shoulder moving the mouse on its own. The entire upper limb should work in harmony. The DXT Ergonomic Mouse is designed around your body and will ensure movement of the mouse is not focused on your shoulder. All the above tips will help reduce discomfort within your shoulder and neck, however the most important message is to ensure you pre-empt discomfort with regular postural breaks.